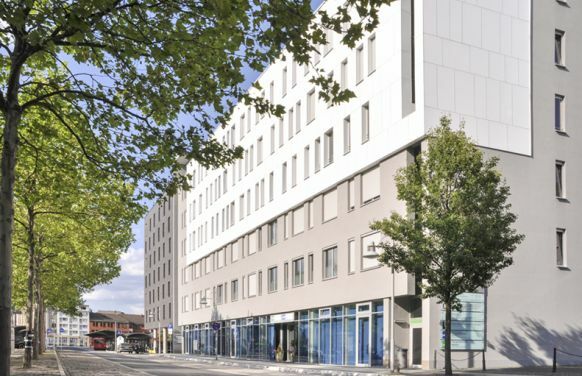 The Therapie-Zentrum Koblenz® (Koblenz Therapeutic Centre) and the MVZ Koblenz® (Koblenz Medical Care Centre) are two owner-operated establishments headed by the specialist in pain therapy, Dr Bernhard Kuegelgen and the physiotherapist, Cecilija Kuegelgen. 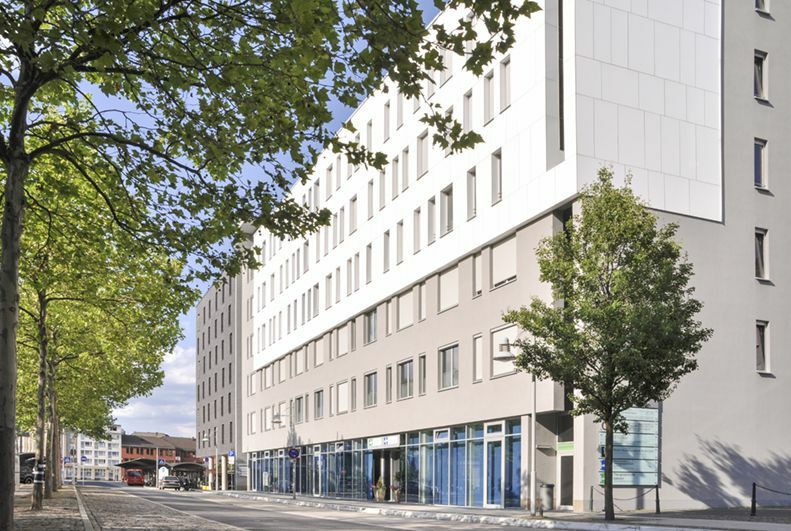 Both establishments in Koblenz work in close co-operation and focus on the treatment of patients with chronic pain conditions such as back pain, headache and neuropathic pain, as well as specialising in neurological conditions such as the aftermath of stroke, dementia and Parkinson's disease. 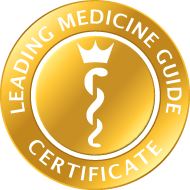 Under the leadership of the specialist in pain therapy, Dr Kuegelgen, the Therapie-Zentrum Koblenz® (Koblenz Therapeutic Centre) and the MVZ Koblenz® (Koblenz Medical Care Centre) offer these patients a comprehensive and seamless range of treatment and care, particularly in the area of pain therapy. Thus, thanks to a combination of out-patient care and semi-in-patient rehabilitation, both establishments facilitate the best possible single-source support for pain patients in one location. With its focus on pain therapy, the MVZ Koblenz® (Koblenz Medical Care Centre) is the Regional Pain Centre of the German Pain Therapy Association e.V. (DGS) in the Koblenz region, offering out-patient care with a comprehensive range of pain therapy in 5 practices. 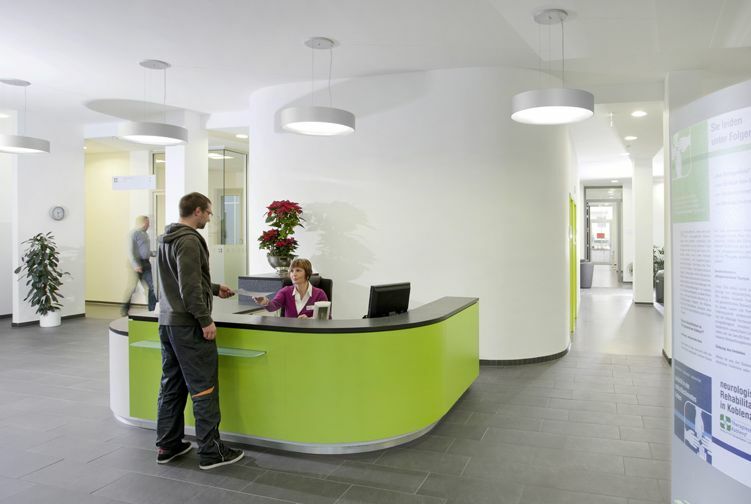 And, with its semi-in-patient rehabilitation facilities, the Therapie-Zentrum Koblenz® (Koblenz Therapeutic Centre) tends to the care of patients with pain conditions. Here, the Therapie-Zentrum Koblenz® (Koblenz Therapeutic Centre) offers multimodal (multidisciplinary) treatment concepts with an outstandingly high degree of individualisation. To be able offer patients the best possible treatment, the Therapie-Zentrum Koblenz® (Koblenz Therapeutic Centre) and the MVZ Koblenz® (Koblenz Medical Care Centre), under the leadership of the specialist in pain therapy, Dr Kuegelgen, have an interdisciplinary team consisting of a total of fifty employees. These professionals care for their pain patients using a comprehensive range of medical-therapeutic treatments in the field of pain therapy. In the process, the specialist in pain therapy, Dr Kuegelgen, and his team place special emphasis on fostering the patient’s own competence and on developing a holistic treatment approach while taking the patient’s individual circumstances into account. Among the pain conditions primarily treated by the specialist in pain therapy, Dr Kuegelgen, and his team at the Therapie-Zentrum Koblenz® (Koblenz Therapeutic Centre) and the MVZ Koblenz® (Koblenz Medical Care Centre) are, in particular, back pain, headache and neuropathic pain. In addition, post-traumatic pain, following whiplash, traumatic brain injury, polytrauma or complex regional pain syndrome (CPRS), also known as Sudek’s disease, for example, are also among the treatment emphases of the pain therapy specialist, Dr Kuegelgen. Other treatment emphases of the pain therapy specialist, Dr Kuegelgen, are fibromyalgia and somatoform pain disorders. Dr Kuegelgen is not only a specialist in pain therapy and special pain therapy, but he is also a consultant in neurology, a consultant in psychiatry and a consultant in the physical and rehabilitative medicine. In addition, the pain therapy specialist, Dr Kuegelgen, has qualifications in the field of algesiology, i.e. the science dealing with the identification, prevention and treatment of chronic pain and pain conditions, and in the field of manual medicine (chirotherapy). On the one hand, the specialist in pain therapy, Dr Kuegelgen, is the Senior Physician of the Therapie-Zentrum Koblenz® (Koblenz Therapeutic Centre) and, on the other hand, he is the Medical Director of the MVZ Koblenz® (Koblenz Medical Care Centre). Prior to his becoming established as a specialist in pain therapy in Koblenz, Dr Kuegelgen was employed in leading positions at several specialist clinics across Germany for 20 years, as a Consultant or Senior Consultant. Over the course of his employment as a specialist in pain therapy, Dr Kuegelgen has prepared several publications and instructional films, including on the topics of neuro-orthopaedics, chronic pain conditions and post-traumatic chronification. As well, the specialist in pain therapy, Dr Kuegelgen, is one of the founding members of Neuro-orthopaedics Germany and of the German Lumbar Back Pain Association (BAcK).